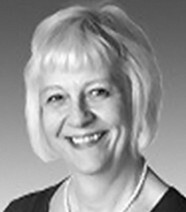 Jane Burgess is Partners’ Counsellor and Board Director for the John Lewis Partnership, a position she has held since October 2012. Jane has been with the Partnership since 1975. She left in 1988 to start a family and returned in 1993. Jane’s main responsibility is to ensure the Partnership is true to its principles of co-ownership and that Partners (as they are known) are treated with humanity.